4 payments of $30.44 to be paid over the next 4 months (1 payment due each month) to pay the remaining balance. The Advanced Armament Aviator 2 is a durable and light weight silencer for .22LR pistols and rifles. 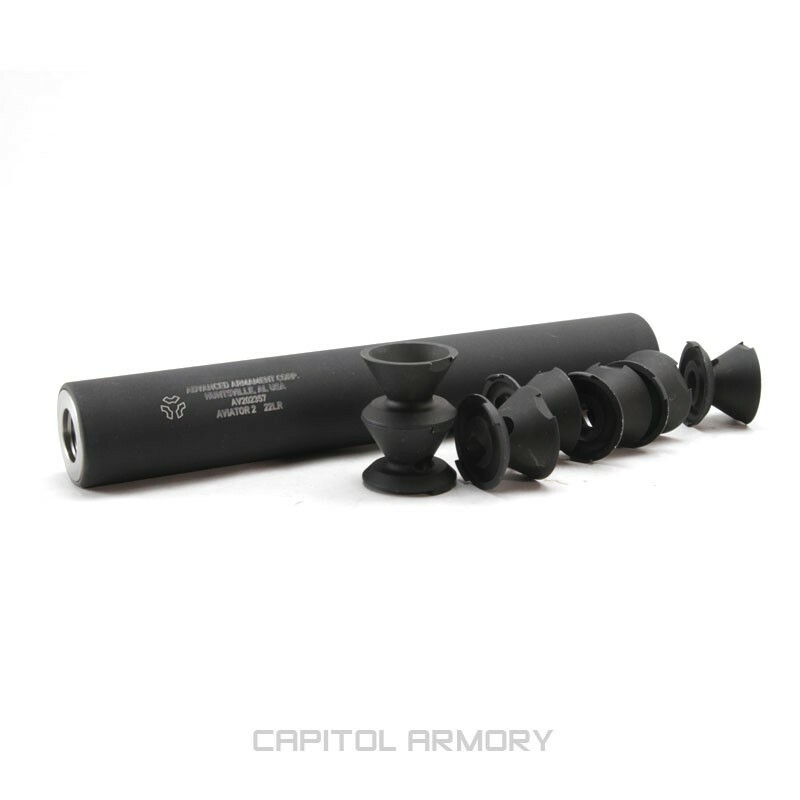 An upgrade on AAC's popular Pilot 2 silencer, the Aviator 2 features a durable one-piece anodized aluminum body with a stainless steel mount and industry standard 1/2x28 threads. 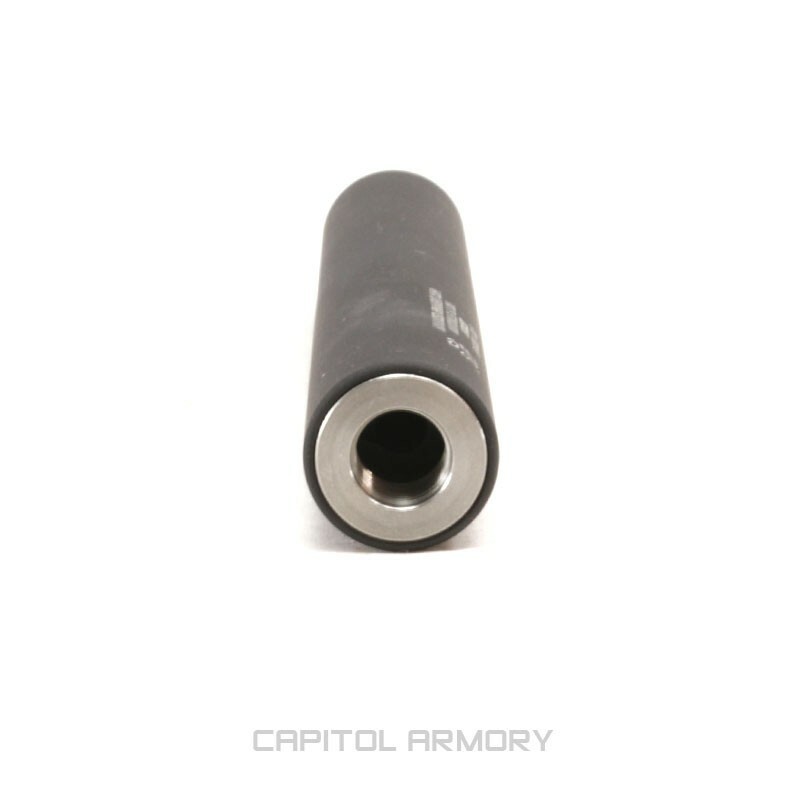 The Aviator 2 contains two extra K-baffles versus the Pilot 2 delivering minimal first round pop while generating a sound reduction level comparable with other competitive top-end rimfire silencers costing hundreds of dollars more. 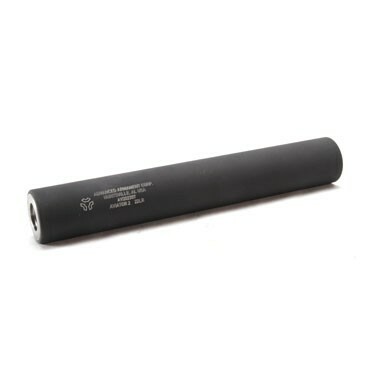 The baffles are easily removable and are machined from stainless steel and 7075-T6 aluminum. 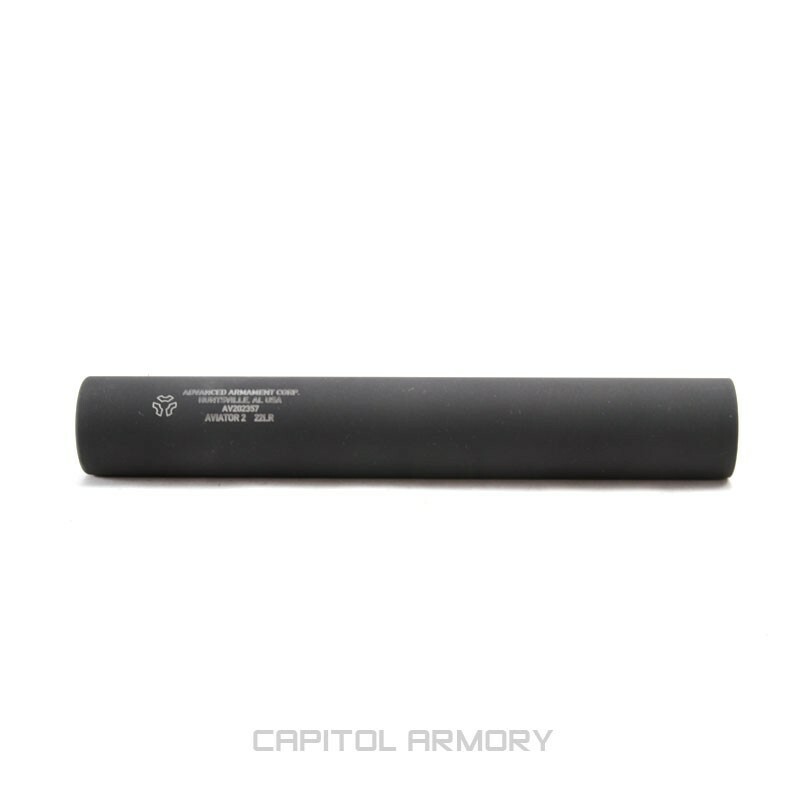 The baffles are easily removable and are machined from stainless steel and 7075-T6 aluminum. The o-ring sealed, flush fit front end cap can be removed easily using the supplied spanner tool for routine cleaning and maintenance. 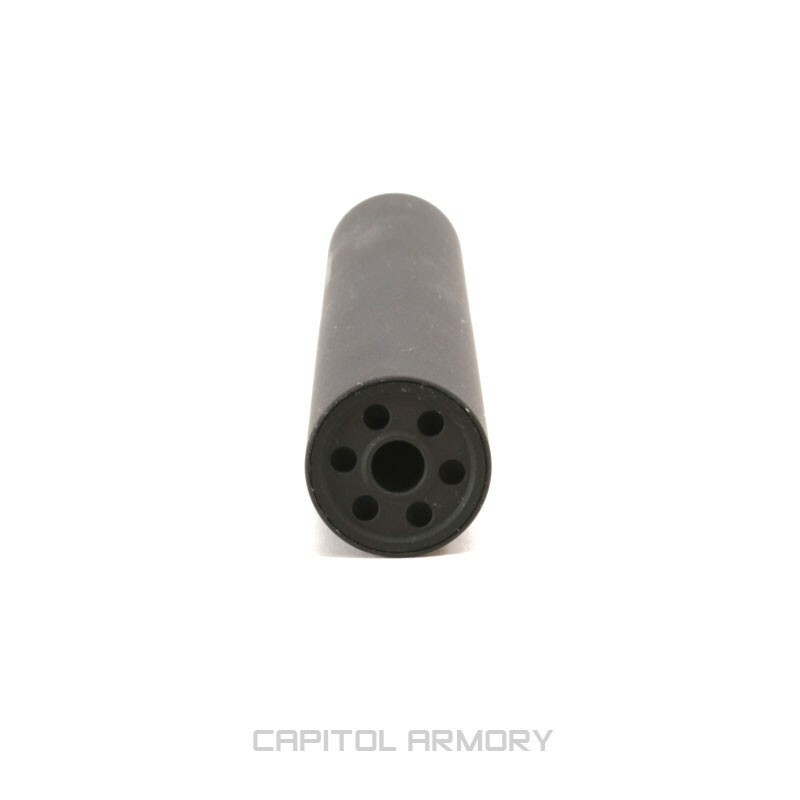 Ideal for those just getting into the silencer market, the Aviator 2 offers high performance, with a value price, allowing you to keep some hard-earned cash for that hard-to-come-by .22LR ammo.